The Tzolkin Calendar – Did you know? I remember when we had to spell out the most obvious of life’s facts to an imbalanced crowd of sleepwalking people. They didn’t seem to understand the first thing about, well, all of the most important things. Now it seems more customers are looking up beyond the billboards. Reality is being perturbed, turned into a psycadelic weirdness of snuff TV and viral fragments of uploaded home videos, none over 2 minutes long. This disturbance assists in identifying cognitive dissonances of truths that no longer hold. My understanding of reality is in a rapid process of development and evolution. What seemed to be different is that people now obviously can tell opinion from experience. Imagination, as Einstein (11-Ahau) maybe said, is more important than knowledge. But that’s a point of origin requiring further development. Knowledge that can be communicated is only one part of what knowledge is. For example, muscle memory and physical brain connections facilitate playing a musical instument, or dancing. Imagination is indeed more important than the kind of ‘knowledge’ we acquire at school and mainstream academia (the trade schools). These are the miles and miles of words we all ingest during the fall semester so we can spew them out at mid-terms, on demand. But on another level, there is knowledge which is superior to the gifts which imagination can bestow. This kind might be better referred to as wisdom, and the results of direct experience. In this domain, imagination which is uncontrolled can become a burden upon the mind and psyche. For example, when I imagine a false and disinformative conspiracy theory to be true, I’m actually a slave to a kind of imagination which disempowers and is often addictive. The directness of experiencing now cannot be chatted away by mental abstractions. And to those who strive to silence me I give thanks, since I often need to be reminded of the paramount importance of inner peace and silence. I keep doing this and doing that all through the day, while the sun shines. Then, much later, when my ‘doings’ are done, I get into my pyjamas and finally surrender to those who would silence and pacify me. With 1-Imix as the beginning of autumn, 13-Men is the last day of the Tzolkin spring, and 1-Cib is the first day of summer. It is the first day of the last 65 days in the current Tzolkin round. It is also the Tzolkin’s summer solstice. I begin the Tzolkin summer by pondering the holy place that is mother earth, as well as my own body – the best vehicle I can have, speeding through the material plain. Summer is when both body and earth celebrate the fruits of the labor of the preceding arduous seasons. This 4th part of the 260-day cycle is represented by southern (yellow) sun-signs which appear more than other cardinal directions during this period. It has to do with kicking back and taking it easy. This laid-back sensation has to do with manifesting results that seem to independently unfold now, as I sit back and watch. Now gravity itself pulls the sheer weight of the previous 10 uinals of my intention and toil down to reality. 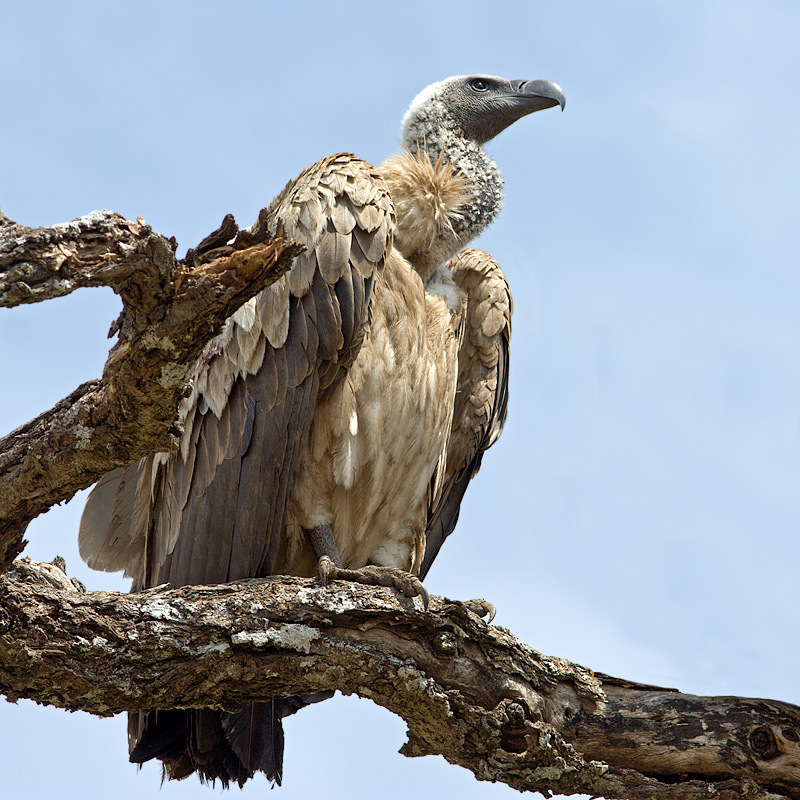 Cib is also called “Vulture”, an eater of carcasses and a purifier of karma. As the trecena kick-starting the fun of summer, 1-Cib is a suitable way to get a clean slate and draw a line between the karma that prevailed before and a fresh sequence of causality. Without this spiritually purifying period I would have stayed focused on my old debts, kept on working at the same job through the summer, and missed all the fun. 1-Cib is the only trecena in the Tzolkin round that has the first 4 sun-signs of the uinal neatly adorning the crest of the trecena, populating stages 6 through 9. 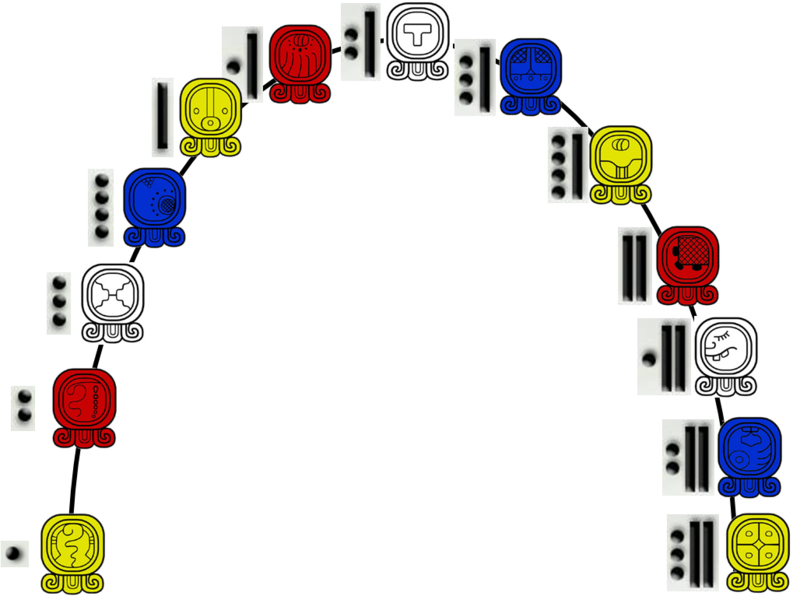 There is therefore a unique balance between the tenth uinal’s last 5 sun-signs initiating the trecena (Cib, Caban, Edznab, Cauac, and Ahau), and the first 8 of the eleventh uinal completing it. Therefore, this trecena, which teaches me about the sanctity and holiness of both spirit and matter, begins with the complex and abstract aspects of the uinal, and is “turned around” by the most basic aspects of prehistory, raw reality, early teachings and understandings. So what am I doing here writing this blog? I’m reaching back through the mists of the past into a fascinating ancient culture, to bring some valuable early teachings and understandings back to the now. You know, the lessons most needed today. A pinch from grandpa’s old tobacco bag. This is Cib. It is realizing that in order to get rid of twisted karma that still, for some reason, interferes with achieving a better now – I need to go even further back in time for possible solutions. Ancient understandings seem to predate the modern origin of division and confusion I experience today (what the Maya called ‘the error in time’), so I’m therefore tapping into a singular/unifying-kind of wisdom. I’m talking about those precise answers dad comes up with, wearing a wrinkled brow. … there was an elderly medieval Jesuit monk, who looked a lot like Michael or Kirk Douglas. He left his hermitage (1-Cib) after living there most of his adult life to travel the world (2-Caban) in search for truth (3-Edznab), spiritual purification (4-Cauac), Mastery and Enlightenment (5-Ahau). Just when he thought he found them, he realized that his journey has only begun. By the side of the road he met an ancient, farseeing and eloquent oracle (7-Ik). His discourse with the oracle made him realize that he still has so much more to learn, since the unknown is infinite (8-Akbal). He sat down to meditate for the first time ever, and his moment of realization soon came as he physically experienced his awakened kundalini (10-Chicchan), after which he was never the same again (11-Cimi). 1-Cib is the day I begin the summer festival of the divine spirit. What’s imminent in the spirit of this festival is the inward wisdom which constantly informs me that the spirit that dwells in the pineal gland, dwells also deep within the smartphone which presumably pollutes it. The ancient truths about the limits of human morality and conduct (personified by Cib) permeate through all of nature – whether it be wild nature or what I decide to set apart as human nature. The divisions that are obviously evident to man are arbitrary concepts nonetheless, set haphazardly by a particular mindset, and spoken/written within a limited language. In reality there is no such division. I’m just this kind of creature who cannot help dividing reality into words and values in order to bestow it with meaning and operate within it. and there are a couple others - obvious - things to be done." What’s emphasized on 2-Caban is the universality of the ancient moralities and wisdom that Cib personifies. A decision must be made: I’ll either universalize my ethics by tuning into the elders, or stay locally confused and confusing. Stage 3 is the first stage in which the trecena’s 4 axis/theme days (Cib, Ahau, Kan, and Lamat) are objected to and criticized. Here stands the mirror of reality (Edznab), revealing current truths right in the face of our esteemed, serious Jesuit monk. The scattered reflections of everything that’s true and real right now on earth points to a glaring deficiency in unified wisdom (no Cib). In other words – everyone seems to be still sleeping soundly, dwelling on known evils, and dreaming about how things will work themselves out eventually. This is how old karma is allowed to persist, and the location of responsibility remains externalized. 3-Edznab means exposing false beliefs wherever they may be, and regardless of where this exposure might lead. This is the only way to universalize ethics and truly accept the proverbial other (with all his ‘misguided’ ideas). This quote by Black really echos with Graham Chapman (10-Ahau)’s Brian in Monty Python’s Life of Brian – see 1-Chuen. Playing the messiah, he addressed the masses and said “You don’t need to follow me. You don’t need to follow anybody! You have to work it out for yourselves.” But that was back in 1979, and it was also a different kind of comedy, so Brian’s crowd insisted on him leading them, while Black’s crowd let him get the girl and ride out. The role of the chosen one was also taken up by Keanu Reeves (3-Edznab, yesterday) in the Matrix trilogy. Instead of relinquishing his role like Black, Reeves decided to be the chosen one all the way through to martyrdom. This course of action is consistent with Reeve’s sun-sign (Edznab, the sacrificial knife), which embodies ultimate sacrifice in the name of truth. In most ancient traditions, the messiah personifies the sun – shining and bringing forth Life, and freeing it from darkness. But, all messiahs and suns eventually decline, descend to the underworld by way of the West, and go blind. Now, consider the fact that the current Duke of Cambridge (Prince William) was also born 4-Cauac. Could he be that chosen one who finally chooses abdicating the crown to the people rather than being just another famous Brian? “I shall release Bwayan!” – Michael Palin (12-Manik, next week) as the Roman governor of Jerusalem, Life of Brian. So 5-Ahau is a very precise and young kind of illumination. It’s also quite masculine, resolute, and wise beyond its years – like the Boss Springsteen (5-Ahau). It is important to emphasize 5-Ahau since it sets the hour of sunrise on the 6th Day of the Tzolkin. It is the final kin of the uinal of manifestation, the last watches of the night. It is therefore a particularly real and present sunrise, one that heralds the period of resolution and adjustment (11). “Let us never tolerate outrageous conspiracy theories concerning the attacks of September the 11th.” – George W. Bush (13-Chicchan) speaking to the US general assembly on 1-Imix (10 Nov 2001). 6-Imix marks the beginning of the 11th uinal/6th DAY/Heaven 11, which in the Tzolkin lasts for exactly 20 solar days. This is the period in which the newly manifested consciousness finds its place among everything else that’s already been manifested. In other words, the uinal beginning today is like the day after I finished draft 1 of my book, or the morning after the spaceship prototype I’ve been working on the past few years has completed its maiden voyage successfully. It is the time when I realize my work is not quite done yet. The book needs editing and content-integrity, while my spaceship, although it took off and landed brilliantly – doesn’t even have a bathroom installed yet. So, even though it might have taken me many years to reach yesterday’s success, today it feels like there’s still so much to do. After seeing the fruit of centuries of R&D finally manifested in reality, my conscious focus makes an about turn as I suddenly see beautiful imperfections I wasn’t able to imagine during 3 fourths of the Tzolkin, leading up to Heaven 10. 6-Imix is a celebration of beginning a new process of perfection – this time with much more manifestation to work with, and also many more days to go in the current trecena. It’s a good balance between known and unknown. “Fans, for the past two weeks you have been reading about a bad break I got. Yet today, I consider myself the luckiest man on the face of the earth.” – Lou Gehrig (7-Ik) saying goodbye at Yankee Stadium on July 4th, 1939 (2-Cimi). In a previous post about 1-Cib I stated that the basic message of 7-Ik, the Purposeful Parley is: Disseminate that which is Essential. According to the trecena diagram (way up there^) 7-Ik embodies the spirits that blow atop the summit. It is what’s communicated at the midpoint of the current process of evolution. When I get the view of both beginning and end I think and talk about the journey’s purpose. To see the purpose I focus on the essential understandings I carried with me up the hill to the top (1-6), and compare it with the essential landmarks I can now see ahead of me (8-13). So 7-Ik is a balanced duality, communicating between essential past lessons and essential future aspirations. By now, the Jesuit on his journey has left his past behind. After hearing the farseeing oracle yesterday and scanning the new horizon he realized he can’t climb down the way he came. There’s so much truth to seek outside the hermitage he knew all his life. This doesn’t mean he’s decided that everything he learned was false. Rather, his newly acquired understandings would not be possible under any other circumstances, nor over any other background and life story. One depends on the other. He therefore seeks the best way to begin his descent down the otherside. This is 8-Akbal. It reminds him of 1-Akbal, the previous trecena which led to this one. All western sun-signs have something to do with learning and teaching, since they embody various forms of transformation. Akbal is the most basic form of this aspect. It has to do with the way wisdom and knowledge are constructed – one insight/lesson on top of the other (rather than one replacing the other). Do you remember the first time you got intimate with someone you were in love with? Akbal is the unique comfort which only darkness can provide. The groping darkness which nourishes new discovery can never be altogether reconciled or vanquished. It sharpens my senses, and serves as the mental and spiritual “vacuum” which prompts me to really listen and be receptive. 9-Kan offers unique, reciprocal insights – both into the nature of the Seed sun-sign as well as the 9th stage/heaven. All seeds represent one form or another of potential. When a plant reaches fruition, it produces a multitude of seeds. Each seed can become a slightly different variation of its sires and siblings. By natural courses, only a fraction of this multitude eventually takes root and becomes new plants. However, each seed is a unique plant in potential, and every sperm cell – a goddess. In the same way in which Kan represents the Nature of potential, stage 9 of the trecena is an Expression of potential. It takes place when the process is on the brink of realization. Potential is expressed when action ceases; when gravity is allowed to operate. Ian Lungold wrote in his codex that stage 9 is “The completion of cycles of action”. So 9-Kan means that 8 days after the summer begins the last thing on my list of actions is social networking and extra focus on the tribe’s potential fruits. That’s it. It’s kick-back time from now on. The summer sun does everything else. 10-Chicchan is the junction in the Jesuit’s journey when the beauty of ancient (let’s say pagan) spirituality dawns on him through an uplifting, direct experience involving mind and body. As mentioned before, his ecstatic revelation does not altogether replace the faith and knowledge he established before, but rather builds upon everything else and expands his perspective. In this trecena, the serpent (Chicchan) embodies the inevitable destruction of 1-Cib and all consequent days leading up to stage 9. However, it is important to keep in mind that this form of destruction does not mean starting from scratch again, at least not in most respects. It simply means a kind of “switch” in mindset, typical to manifestation. 10-Chicchan: Responsible Living means realizing the sacred potential power of life by uniting body and mind. This is powerful stuff. It’s not just the mind or just the body anymore. This is unified sanctity materializing as an experience NOW that cannot be denied. It must now be recognized with responsibility. 11-Cimi is a subtle psychic connection with my ancient ancestors, who assist and guide me during the transition into a renewed and sanctified way of life – the inevitable result of yesterday’s destruction. This anti-climax kind of day also resounds with the 11th uinal in which it takes place, along with 11-Cauac further down the road. The luck of the sun-sign Cimi is just what I need right now, resolving 1-Cib and reconciling past and present lessons in the school of life. As the aging Jesuit gets ready for Round 17 of existence (since 1-Muluc is the 17th trecena) he understands something essential: what it really means to be a human on earth, asking questions and going on dangerous adventures. When a Muslim makes his pilgrimage to Mecca he understands right at the beginning that he’s about to embark on a once-in-a-lifetime journey, after which he’ll never be the same again. After walking the path, reaching Mecca and participating in rituals, on 12-Manik he’s back home already, or at least in his familiar surroundings again. This location in consciousness allows him to understand that his journey might be over, but a new one begins right away. Therefore to journey is eternal. At any given moment I am constantly moving towards destination and moving away from another (past one, or a destination I forsook). Even when I’m at one destination (or at home) the motion persists internally. Isn’t it amazing that Bill Cooper shares his Tzolkin birthday with George Orwell? And having Dr. King’s assassination under the same conspiracy-theory energy? God bless’em all, especially the dead ones. It is said that ancient heroes of old, like Achilles and Sinbad “Reached the Stars”. In other words, their devout fan-base got together and connected stars in the dark sky to form constellations which they named after their heroes. These were in turn passed down generations, and the heroes’ names were immortalized. This honor was reserved for true “All-Stars”, not just any other mortal king, rock star, or shooting guard. In contemporary sports, this phenomena is called “retiring a number”, and the ceremony includes raising the retired player’s jersey up to the heavens (which sometimes means just under the stadium’s domed roof). In the Tzolkin round this phenomena is called 13-Lamat. 13-Lamat is the ultimate star of infinite multiplication and the kind of luminary which can ultimately establish universal harmony. Tell that to Bill Cooper. Gehrig and the rest of the all-star heroes looking down on (or up at) us mortals are the modern version of Cib. It is how we venerate, continue to love and respect our ancestors, and they guide us in return. That’s it. No more rain, no cold mornings, no more morning coffee. I used to think I can eat healthy food and drink healthy drinks to steer my body clear of unnecessary ailments. I can exercise regularly, feel great and energetic. I was trying to find the right things to DO in order to never grow old. Then I realized everything I consume is contaminated, no matter where I shop. I also found out I can never maintain any kind of physical regimen for long. I began to understand that there’s nothing to DO about it. Then I wondered where are those ailments I’ve been promised. Being cheated out of what’s rightly mine, and not for the first time mind you, doesn’t feel so bad. In fact, it’s a surprising gift in strange wrapping. It makes me feel like maybe I can actually fare today and make it to bed on time. There’s one thing, though. I forgot how to use some of my memory. Seriously. I’ve come to realize I don’t really need it all. Sure, I still keep my promises without writing them down, and I can sing many songs just from memory. But all the past stuff I shouldn’t use anymore, like self-defining events and relationships, have no use nor purpose in the now. I’m not even sure I have a self I want to identify with, let alone define. The self-sustaining kind of memory is in fact a self-satisfying mechanism that feeds on its own substance. It goes around in circles and solidifies everything it touches. When I forgive I let go of self-sustaining memory; this is what I forget. After a while karma becomes less entangled with the self. Self has less memory to sustain itself. It is a cleansing process, a realization of what has been ignored and neglected, and must now be desposed of – never to be recycled again. However, another type of memory and history has gained new and deep meaning for me. It’s the kind of memory I now approach with reverence and deep respect. The memory of my father, of his father and mother. The memory of departed uncles and aunts. Dead movie stars and musicians that touched me. Teachers, neighbors, storekeepers and sitar players – all gone now, dead, six feet under or reduced to urn contents. If I can see their faces when I close my eyes, then surely to a degree they’re not all gone yet. Even if the face is forgotten and I can only remember their names – something still lingers. This 4th part of the cycle is represented by southern (yellow) sun-signs, and has to do with kicking back and taking it easy. This laid-back sensation has to do with manifesting results that seem to independently unfold now, as I sit back and watch. Now gravity itself pulls the sheer weight of the previous 10 uinals of my intention and toil down to reality. 1-Cib is the only trecena in the Tzolkin round that has the first 4 sun-signs of the uinal neatly adorning the crest of the trecena, populating stages 6 through 9. There is therefore a unique balance between the tenth uinal’s last 5 sun-signs initiating the trecena, and the first 8 of the eleventh uinal completing it. Therefore, this trecena, which teaches me about the sanctity and holiness of spirit, and begins with the complex and abstract aspects of the uinal – must get “turned around” by the most basic aspects of prehistory, early teachings and understandings. So what am I doing here writing this blog? I’m reaching back through the mists of the past into a fascinating ancient culture, to bring some valuable early teachings and understandings back to the Now. You know, the lessons most needed today. A pinch from grandpa’s old tobacco bag. I’m talking about those precise answers dad used to come up with, wearing a wrinkled brow. … there was an elderly medieval Jesuit monk, who looked a lot like Michael Douglas. He left his hermitage (1-Cib) after living there most of his adult life to travel the world (2-Caban) in search for truth (3-Edznab), spiritual purification (4-Cauac), Mastery and Enlightenment (5-Ahau). I’m useless, but not for long! Now, consider the fact that the current Duke of Cambridge (Prince William) was also born 4-Cauac. Could he be that chosen one who finally chooses abdicating the crown to the people rather than being just another famous martyr/shaheed? So, even though it took me many years to reach yesterday’s success, today it feels like there’s still so much to do. After seeing the fruit of centuries of R&D finally manifested in reality, my conscious focus makes an about turn as I suddenly see beautiful imperfections I wasn’t able to imagine during 3 fourths of the Tzolkin, leading up to Heaven 10. When Gehrig (7-Ik) realized what’s ahead of him (2 years of pain, closely followed by death), and compared it with what he’s leaving behind – he was wise enough to be crystal clear about what seems purposeful for him to communicate before signing off (he died 12-Chicchan). He therefore seeks the best way to begin his descent down the otherside. This is 8-Akbal. It reminds him of 1-Akbal – the last new beginning that led to the current process (1-Cib). All seeds represent one form or another of potential. When a plant reaches fruition, it produces a multitude of seeds. Each seed can become a slightly different variation of its sires and siblings. Only a fraction of this multitude eventually takes root and becomes new plants during natural courses. However, each seed is a unique plant in potential, and every sperm cell – a goddess. Ian Lungold wrote in his codex that stage 9 is “The completion of cycles of action”. So 9-Kan means that 8 days after the summer begins the last thing on my list of actions is social networking and extra focus on the tribe’s potential fruits. That’s it. It’s kick-back time from now on. The summer sun does everything else. Osho is widely known as the millionaire guru from California who had orgies in his ashrams. That’s gossip. The truth of the matter is that if you were born 9-Kan people are bound to gossip about you. And, to aggravate this – you’re probably phenomenal in the sack. 10-Chicchan is the junction in the Jesuit’s journey when the beauty of ancient (let’s say) pagan spirituality dawns on him through an uplifting experience involving mind and body. As mentioned before, his ecstatic revelation does not altogether replace the faith and knowledge he established before, but rather builds upon everything else and expands his perspective. In this trecena, the serpent (Chicchan) embodies the inevitable destruction of 1-Cib and everything leading up from it to stage 10. However, it is important to keep in mind that this form of destruction does not mean starting from scratch again, at least not in every respect. It simply means a kind of “switch” in mindset, typical to manifestation. 10-Chicchan: Responsible Living means realizing the sacred potential power of life by uniting body and mind. This is powerful stuff. It’s not just the mind or just the body anymore. This is unified sanctity materializing as an experience that cannot be denied. 11-Cimi is a subtle psychic connection with my ancient ancestors, who assist and guide me during the transition into a renewed and sanctified way of life – the consequent result of yesterday’s destruction. This day also resounds with the 11th uinal in which it takes place, along with 11-Cauac further down the road. As the aging Jesuit gets ready for Round 17 of existence (since 1-Muluc is the 17th trecena) he understands something essential: what it really mean to be a human on earth, asking questions and going on dangerous adventures. When a Muslim makes his pilgrimage to Mecca he understands right at the beginning that he’s about to embark on a once-in-a-lifetime journey, after which he’ll never be the same again. After walking the path, reaching Mecca and participating in rituals, on 12-Manik he’s back home already, or at least in his familiar surroundings again. This location in consciousness allows him to understand that his journey is eternal. At any given moment I am constantly moving towards destination and moving away from another. Even when I’m at one destination (or at home) the motion persists internally. A-Ha! If I didn’t pay, why are you arguing? Here’s Michael Palin (12-Manik) who’s always been one of my favorite Pythons, along with Cleese (13-Imix, coming up!) and Chapman. I’ve mentioned Chapman (10-Ahau) before, who plays the abuser in this skit. It is said that ancient heroes of old, like Achilles and Sinbad “Reached the Stars”. In other words, their devout fan-base got together and connected stars in the dark sky to form constellations which they named after their heroes. These were in turn passed down generations, and the heroes’ names were immortalized. This honor was reserved for true “All-Stars”, not just any other mortal king, president, or prime minister. In contemporary sports, this phenomena is called “retiring a number”, and the ceremony includes raising the hero’s jersey up to the heavens (just under the stadium’s domed roof). BTW, regarding sports, Orwell once said: “Serious sport has nothing to do with fair play.” Tell that to Bill Cooper. Gehrig and the rest of the all-star heroes looking down on us mortals are the modern version of Cib. It is how we venerate our ancestors, and they guide us in return. Then I realized everything I consume is contaminated, no matter where I shop. I also found out I can never maintain any kind of physical regimen for long. Then I wondered where are those ailments I’ve been promised. Counting from 1-Imix as the beginning of autumn, 13-Men was the last day of the Tzolkin spring, and 1-Cib is the first day of summer. It is the first day of the last 65 days in the current Tzolkin round. It is also the Tzolkin’s summer solstice. The first portal day of this trecena (2-Caban) is also the last portal day of the uinal of manifestation (10th). A portal day is like having an exclamation mark on a day. If I take the time to reflect upon events experienced on a portal day I’m bound to find extra spice in whatever the world throws at me, and especially more volume to however I react to it (whether internalizing or externalizing my reaction). So the first exclamation mark of this trecena comes right after taking the first step. What’s emphasized on 2-Caban is the universality of the ancient moralities and wisdom that Cib personifies. Being the second stage, the exclamation mark is coupled with a question mark (Universal Wisdom!?) Therefore a decision must be made: I’ll either universalize my ethics by tuning into the elders, or stay locally confused and confusing. At this point I’d like to introduce a wacky stage and screen artist/comedian who has a great hobby – playing and singing in a rock band. His name is Tal Freidman, and everyone knows him in Israel. He was born 6-Imix, and in the next clip he sings a song that is best known to be sung by 9-Imix (Robert Plant). When Imix goes crazy – everyone else is mesmerized. The last time I wrote about 1-Cib I stated that the basic message of 7-Ik, the Purposeful Parley is: Disseminate that which is Essential. Do you remember the first time you got intimate with someone you’re in love with? Akbal is the unique comfort which only darkness can provide.